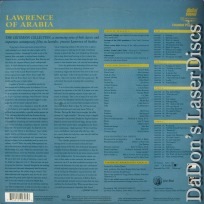 Lawrence of Arabia 1962 - 217 min. 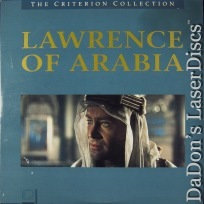 - Color Genre: Action Rated PG Country: USA LaserDisc Movie Storyline: David Lean's masterpiece, perhaps the greatest of screen epics, stars Peter O'Toole in one of the most electrifying debuts in film history. The film is less an ordinary adventure than an experience that leaves an overwhelming sense memory of the struggle between two powerful forces: the Arabian deserts, immense, intractable, ever-shifting, punishing; and T.E. Lawrence, humble as a monk, flamboyant as a rock star, protean, polymathic, heroic, enigmatic, mad. 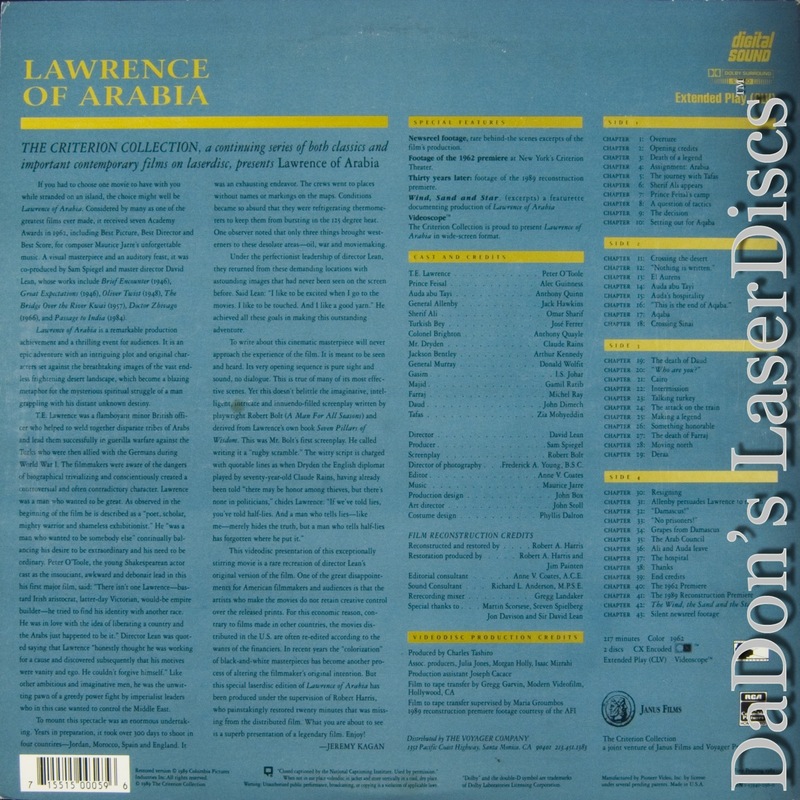 While working on the staff of British Intelligence in Cairo in 1916, Lawrence's fluency in Arabic earns him a post on a mission sent to establish contact with Prince Feisal (Alec Guinness), leader of the Arab revolt and ally of the British against the German-sponsored Turks in WWI. 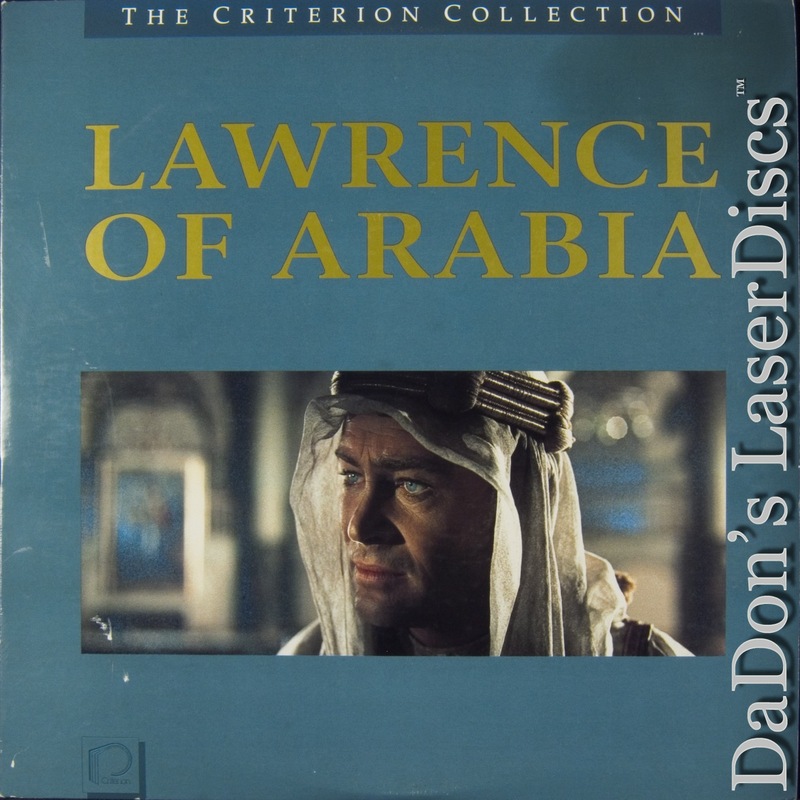 Impressed by Lawrence's knowledge of their culture, the prince allows the young officer to join his staff, and Lawrence quickly earns the Arabs' respect after he executes acts of extraordinary heroism. As the Englishman's genius for guerrilla warfare becomes evident, he assumes the role of de facto leader of the Arab revolt, uniting the heretofore warring tribes into a devastatingly effective weapon. But the chaos of war also unleashes the repressed officer's powerful need for self-abasement and mortification of the flesh. A visionary work that unfolds one indelible image after another, LAWRENCE OF ARABIA fuses the conflict of man against man, man against nature, and man against himself into a sublime poem of force. The film features a literate script by Robert Bolt and an outstanding cast, which also includes Claude Rains, Jack Hawkins, Arthur Kennedy, Anthony Quinn, Jose Ferrer, and Omar Sharif in his unforgettable desert-crossing debut.